The role-playing game turns Pokemon characters from Red and Blue into adorable cuboid figures, along with everything else in sight. As you explore Tumblecube Island, you'll discover items and bump into Pokemon along the way. Use what you find to befriend them and improve them so they can battle more wild Pokemon and have them join your team. When the day is done, head back to base camp, which can be decorated to your liking, before heading out to do it all again. 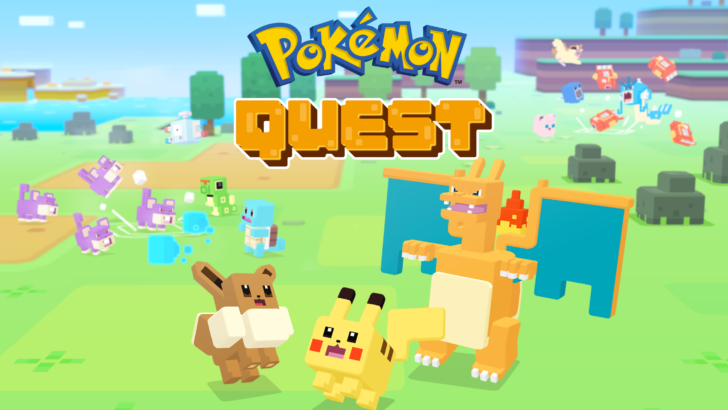 The video above states that Pokemon Quest is "free to start" which maybe suggests a certain amount of money will need to go on IAPs to progress through the game — let's hope it's not extortionate. The cutesy graphics and PEGI 3 rating would suggest the game is predominantly aimed at younger kids. It's been in available as a limited beta for a couple of weeks, and in that time it's garnered praise along with a 4.8/5 score on the Play Store. It should now be open for everyone to install.